By Lisa Steele on October 27, 2012 Visit Lisa's Website. We all know that breakfast is the most important meal of the day for us, and the same goes for our chickens. 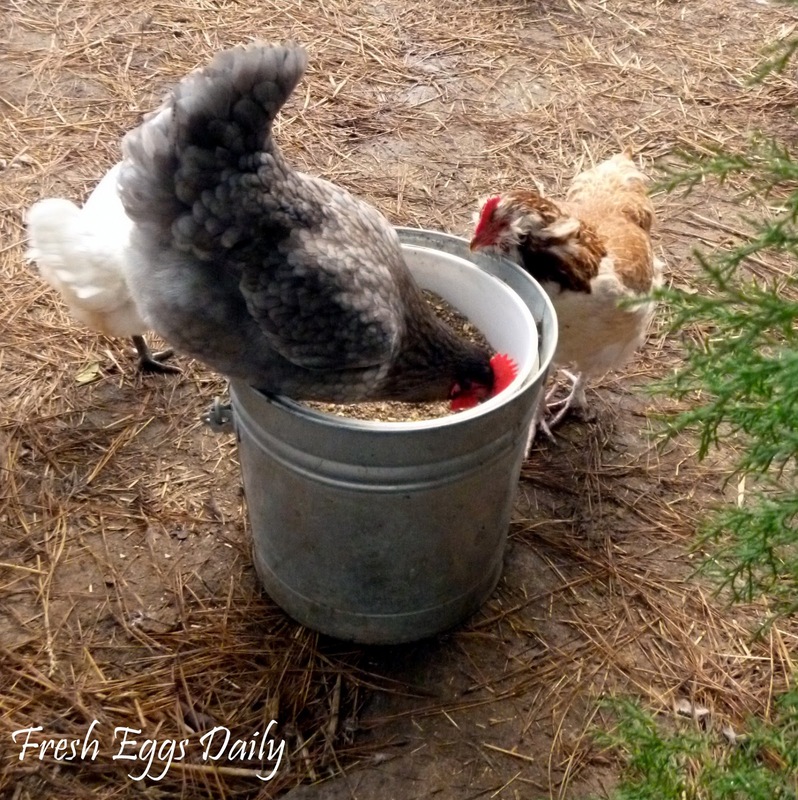 Treats should not be fed until the chickens have eaten their fill of their morning feed to ensure they are getting all the right nutrients and a good-quality layer feed is so important. When we first started raising chickens, I read a few books and began a regiment of chick feed for the little ones, moving on to the starter/grower and then to the layer feed around 18 weeks old. 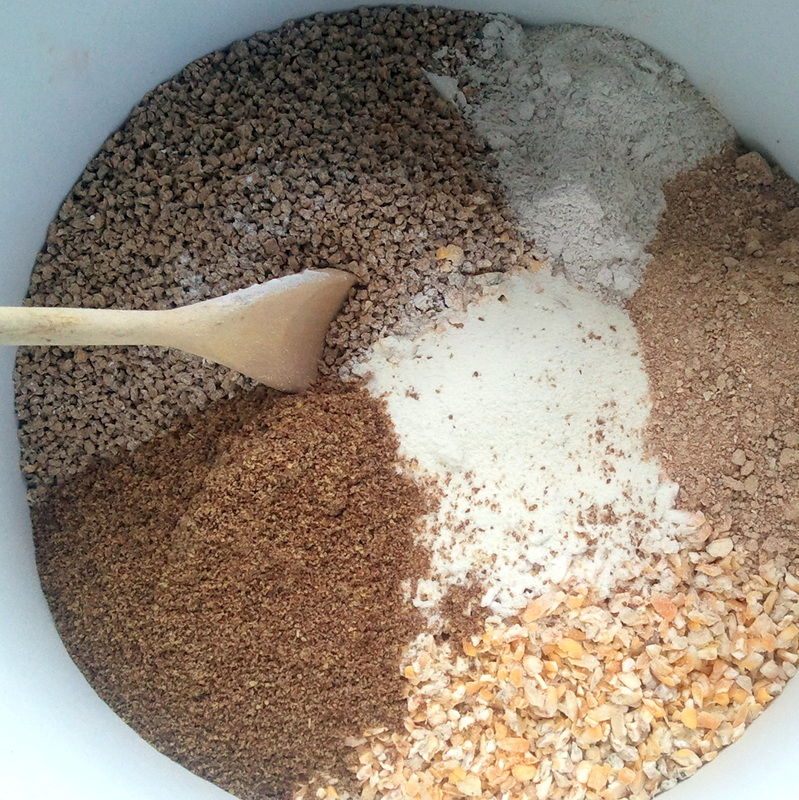 Then I started doing a bit more reading into the health benefits of garlic, probiotics, diatomaceous earth and various other supplements and set out to create a more nutritious breakfast for our hens. Several years later, here’s what I have come up with. I call it the ‘Breakfast of Champion Layers’. The girls love it as you can clearly see and we have never had such gorgeously feathered, healthy hens laying such beautiful eggs. Want the recipe? Read on…. Join us on Facebook at Fresh Eggs Daily and also visit our blog Fresh Eggs Daily for tips, tricks and advice on raising happy, healthy hens as naturally as possible with a double dose of creativity. I guess starting the hens day right and she will give us the eggs to start our day right.